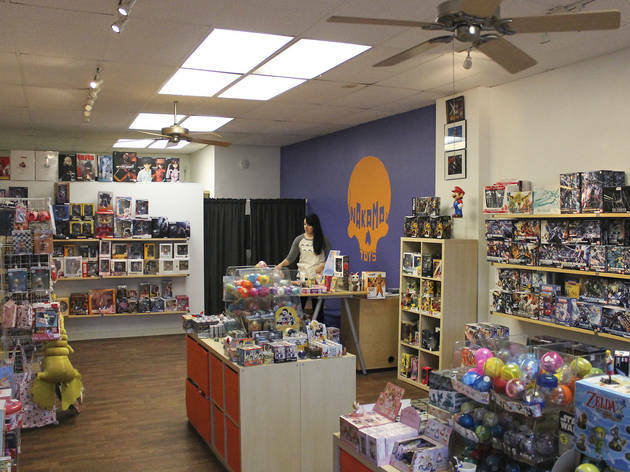 Filled with shelf after shelf of sculpted plastic paraphernalia imported from Japan, this Logan Square shop is a destination for any anime fan, video gamer or manga maniac. Each week brings a new shipment of character statues, capsule toys and Gundam model kits, including merch from popular franchises such as Attack on Titan and Neon Genesis Evangelion. Don’t have room for any more collectors’ items? Stock up on sweets from overseas, including Pocky, green-tea- flavored Japanese Kit Kats and other sugary treats. Great staff, unique items and fun atmosphere. Highly recommended! Truly one of my favorite stores in Chicago. Such an amazing selection and friendly staff! I highly recommend for any anime fan, or anyone interested in toys in general! There's something for everyone! I never knew what I was missing until Nakama Toys came into my life. Good prices, great selection and run by two of the best people you'll ever meet. Do yourself the favor and make Nakama a regular part of your life. Great place to buy Gundams and any other models!! Good selection! I had an awesome conversation with one of the shopkeeps on everything from anime to Godzilla to WWE. Best owners with a great shop!!! I love the selection of toys and the witty personality that comes with it!! Since this place has opened in spent plenty of time at this wonderful store most of the collectibles they sell I can not find anywhere else and it's so great to have a legit seller of over seas figures. Not only is the store filled with hems but the owners both Mary and Brian are awesome people that make the place even that much more inviting over spent countless hours at this point talking to both of them about the things they sell and just completely nerding out with them over anime and comics. 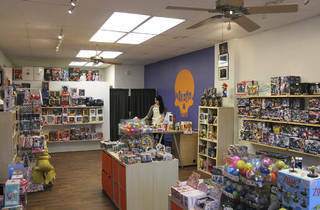 All in all the store is such a gem that opened up in Logan and I hope they continue to grow there business. Great store with great owners. So easy to shop in store or online and they always have something new to see.